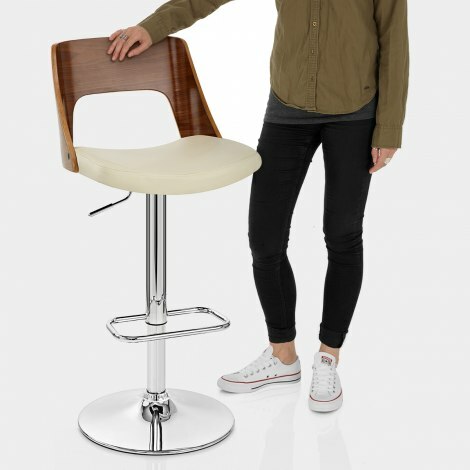 If you're on the hunt for a bar stool with balance, why not try out the Carmen Real Leather Bar Stool Walnut and Cream. Combining new and old with light colours and dark finishes alike, this uniquely luxurious stool offers a number of pleasing contradictions. The wooden seat shell is crafted from a solid piece of bentwood, and curves upwards so as to encompass a backrest. A polished walnut finish adds a country-style sheen, while a central space helps to maximise visual space. Perfect in big and small areas alike, the Carmen's seat is accompanied by an authentic real leather seat pad for a combination of comfort and excess. 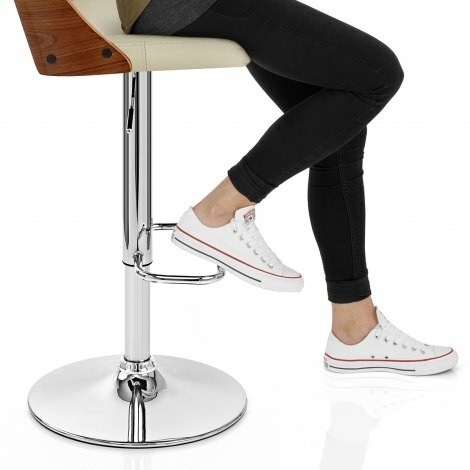 Beyond this, the Carmen's chrome frame incorporates a height variable gas lift mechanism and 360 degree spin within its midst, making the stool a versatile choice for those who like variety. A rectangular footrest ensures that your feet are catered to while finally, a protective floor guard helps to minimise scratching to your surfaces. "Real quality and very stylish and look great"
Great quality, look brill and make our kitchen look the finished article. This is the second time that we have used Atlantic and their service is excellent. Product despatched and arrived on the dates that we requested. I am so pleased with the bar stools, has brought my kitchen to life again!! 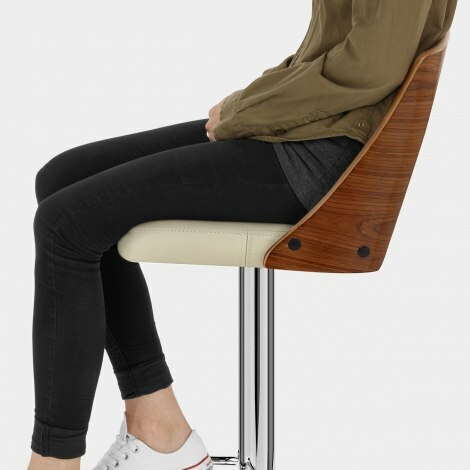 I bought three of these stools the walnut and cream go fantastically well with our walnut and cream kitchen such good quality easy to assemble and a bargain great company to deal with would highly recommend them. Nice product, easy to assemble. Looks very good in situ. Great value. Very pleased in all respects.